A conductor and composer, Eric William Barnum continues to passionately seek new ground in the choral field. Working with choirs of all kinds, his collaborative leitmotif endeavors to provide intensely meaningful experiences for singers and audiences. Barnum is currently the Director of Choral Music at the University of Wisconsin, Oshkosh. He holds a DMA in Choral Conducting from the University of Washington (Seattle, WA), under the direction of Dr. Geoffrey Boers. He has an advanced degree in conducting from Minnesota State University (Mankato, MN), primary study with Dr. David Dickau, as well as BAs in Composition and Vocal Performance from Bemidji State University (Bemidji, MN). 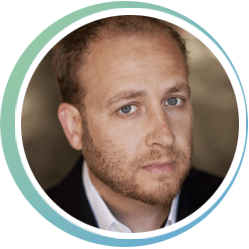 He has appeared as a conductor across the United States, and has had the opportunity to work with some of the most innovative minds in the choral field. His voice and vision continues to gain popularity around the globe with performances from choirs internationally. He composes for choral ensembles of all types, from professional to youth choirs, and has received numerous awards and prestigious grants such as a Bush Foundation Artist Fellowship and a McKnight Foundation Grant. He has also held residencies with such ensembles as Choral Arts (Seattle, WA), The Rose Ensemble (St. Paul, MN), Kantorei (Denver, CO), Magnum Chorum (Minneapolis, MN), Coro Vocal Artists (Tucson, AZ), as well as with many high schools and collegiate choirs. Eric William Barnum	mixed choir, Difficulty : 3, piano, 3-5 min. 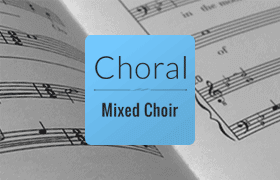 Eric William Barnum	mixed choir, Difficulty : 3, a cappella, 5-10 min. Eric William Barnum	mixed choir, Difficulty : 3, a cappella, less than 3 min. Eric William Barnum	mixed choir, Difficulty : 4, a cappella, 3-5 min. Eric William Barnum	mixed choir, Difficulty : 4, piano, 3-5 min. Eric William Barnum	mixed choir, Difficulty : 5, a cappella, 3-5 min. Eric William Barnum	treble choir, Difficulty : 4, piano, 5-10 min. Eric William Barnum	mixed choir, Difficulty : 4, piano, 5-10 min. Eric William Barnum	mixed choir, Difficulty : 5, a cappella, 5-10 min. Eric William Barnum	treble choir, Difficulty : 3, piano, 3-5 min. Eric William Barnum	mixed choir, Difficulty : 4, a cappella, 5-10 min. Eric William Barnum	mixed choir, Difficulty : 3, a cappella, 3-5 min. Eric William Barnum	mixed choir, Difficulty : 3, 1-2 instruments, 3-5 min. Eric William Barnum	mixed choir, Difficulty : 3, piano, 5-10 min. Eric William Barnum	treble choir, Difficulty : 5, a cappella, 5-10 min. Eric William Barnum	men's choir, Difficulty : 4, a cappella, 3-5 min.